Arsenal legend Ray Parlour would like to see former Gunners midfielder Patrick Vieira get the chance of succeeding Arsene Wenger as manager at the Emirates Stadium. The French tactician is currently with New York City FC and has of course got a great deal of experience of winning things with Arsenal from his time as a player. At his peak, Vieira was one of Arsenal’s greatest ever performers and among their most influential captains as he led the team to three Premier League title wins, including a season unbeaten during his time at the club. Vieira is yet to manage in Europe, but Parlour thinks it could be worth a gamble from Arsenal to go for the 41-year-old ahead of more proven names such as Carlo Ancelotti or Diego Simeone. Thierry Henry has also been spoken about as a contender to replace Wenger in the future, but it seems Parlour just fancies Vieira ahead of him as having what it takes to get the north London giants back to their best after another nightmarish campaign. 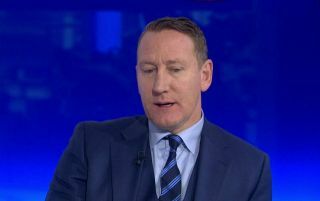 ‘The club need a plan behind the scenes now,’ Parlour told Sky Sports. ‘They may decide to go with an inexperienced person like Patrick Vieira or Thierry Henry. ‘Or do we want to go with someone who has Champions League experience like Diego Simeone? ‘Obviously then there’s Carlo Ancelotti, who has managed some of the biggest clubs in the world. But the one I would take a gamble on, and I think he’d be given time, is Patrick Vieira.